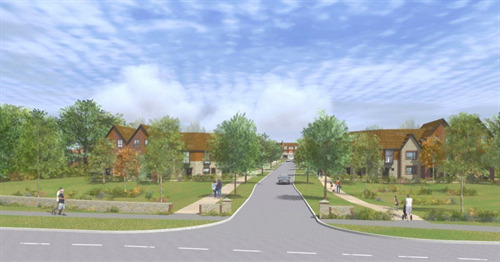 Seaford Town Council’s Planning & Highways Committee will be meeting on Thursday 3rd November to discuss planning applications for the town, including the outline planning application submitted for the development of 238 dwellings at the former Newlands School site. The meeting is being held in the auditorium of Seaford Baptist Church, Belgrave Road, from 7pm on Thursday 3rd November. This larger venue has been chosen to allow interested members of the public the chance to attend the meeting and if they wish to, voice any comments, concerns or issues regarding any items on the agenda, including the former school site. The agenda for the meeting has been released, with a detailed report setting out the key facts of the outline application. This can be viewed at the Council Offices on Church Street, Seaford Library or online on the Minutes & Agendas page. The detailed papers and plans of the application are also on display at the Tourist Information Centre reception at 37 Church Street, Seaford. They can be viewed from 9.30am to 4.30pm Monday to Friday. Members of the public can speak during public participation at the meeting or may submit written representations to both Seaford Town Council and Lewes District Council. Seaford Town Council will submit its considered opinion to Lewes District Council after this meeting, Lewes District Council will then make the final decision at a date in the near future. Picture: 3D Visualisation of Development Proposals.